It’s Monday again and this means that there is another week of basketball action to look out for. 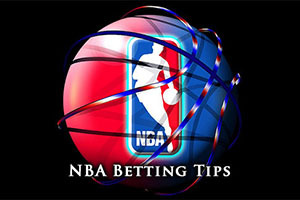 It may not be the busiest day of the week when it comes to NBA games but there are enough games to get worked up about. There were also a few games on Sunday to look over. The Hawks dismantled the Wizards in Atlanta, with the final scoring ending up 120-89. The Suns lost out on the road, with Memphis taking control of the game and winning by 122-110. One team that had a happier away was the Portland Trail Blazers, who defeated the Lakers in Los Angeles by a score of 94-106. Both of the Los Angeles teams were at home and both lost, with the Heat triumphing 104-90 away to the Clippers. There was also another away day loss for the Cavaliers, who were downed 103-84 in Sacramento and the return of LeBron James cannot come quickly enough for the Cavaliers. The Cavs are not in action on Monday, which is probably a relief for their fans but there are some great games on offer. The Pistons come into this game with a 13-24 record and this includes an 8-10 record away from Detroit. Their hosts hold a 25-11 record coming into this match and this includes a 15-4 record at home. Clearly the Raptors are the team that have had the better season but there is no getting away from the fact that the Pistons have experienced an almighty turnaround in their fortunes of late. Both teams won their last game but the fact that the Pistons hold a 4-1 record on their last five games, while the Raptors hold a 1-4 record says a lot about how these two teams have fared going into the New Year. The Pistons have won 8 out of 9 games, not bad considering their previous record was 5 wins out of 30 games and even they stumbled, they bounced back strongly on Saturday. The Pistons downed Brooklyn at The Palace, winning 93-98, with Brandon Jennings offering up 20 points and 11 assists. Greg Monroe was also in great form, providing 17 rebounds. The Raptors had lost four in a row before finally getting back on track with a 109-96 win against Boston on Saturday night. Andre Drummond is being monitored on a daily basis for the Pistons while DeMar DeRozan is expected to be missing for the Raptors. This is clearly a big game for both sides and taking the Pistons with a +6 handicap, and odds of 1.90, could well be something that provides you with a big start to your week of basketball betting. Bet Now! The Rockets hold a 26-11 record coming into this game and this includes a 13-5 record away from Houston. The Nets hold a 16-21 record so far this campaign and they have an 8-11 record in Brooklyn. The Nets have lost their last five games in a row while the Rockets are on a winning run of three while holding a 4-1 record in their last five games. James Harden was a key player for the Rockets in the win over Utah, grabbing 30 points in the 97-82 win. It is not as though the Nets are the only team to fall to the Pistons of late but the 98-93 loss on Saturday was the fifth loss in a row for Detroit and the team is looking a little short of confidence at the moment. The Nets have no new injury concerns going in to this match while the Rockets will be keeping a close eye on Dwight Howard with Alexey Shved expected to be absent from this game. The Rockets should win and if they play to form, they should be able to take care of the -6.5 handicap, at odds, of 1.90. Bet Now! The Pelicans have an 18-18 record going to Boston and their away record stands at 6-13. The Celtics are having a transitional campaign and their record currently stands at 12-23, which includes an 8-11 record at home. The Pelicans won their last outing while the Celtics have lost their last two games. With respect to the last five games for both sides, the Pelicans hold a 2-3 record while the Celtics hold a 1-4 record. Both teams could really do with a win to lift their season in this one but it is going to be a hard call. The Pelicans had a great win in Memphis on Friday, defeating the Grizzlies by a score of 95-106. Jrue Holiday was the star man with 23 points, 8 assists and 2 steals in the game. This game could see Austin Rivers head to Boston to take on his old team as it is believed that this deal will go through as part of a three team agreement that will see Jeff Green leave Boston and head to Memphis. Given that Green has been the leading scorer for Boston so far, this could mean more short term pain for the Celtics. The Pelicans head to Boston in relatively good shape with regards to fitness while the Celtics are monitoring Jameer Nelson on a daily basis. This one could go either way but taking the Pelicans with a -4.5 handicap, and odds of 1.90, should be a good bet for a Monday. Bet Now!